Every girl loves to decorate her room. Growing up, your bedroom is your safe haven. Your room has been there through it all, the breakups, the sleepovers, sharing secrets with your best friends, everything. 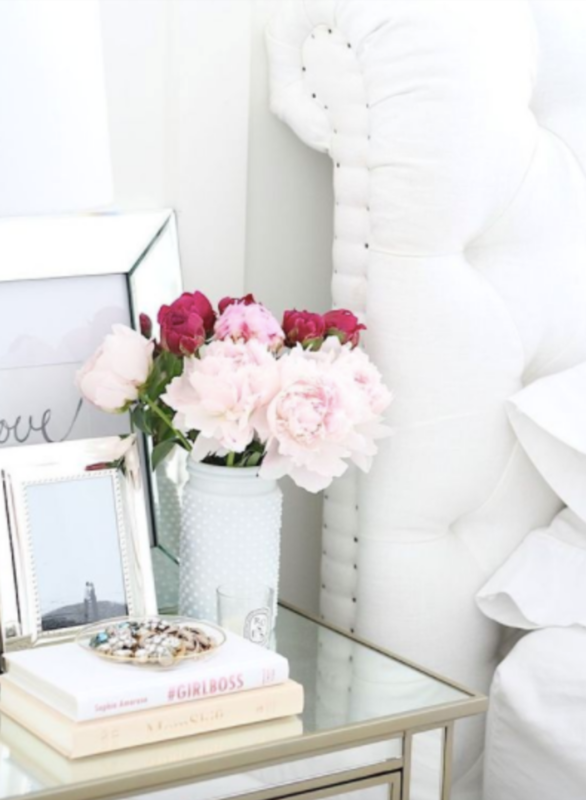 Because of this, it’s no surprise every girl dreams of how she wants to decorate her room. 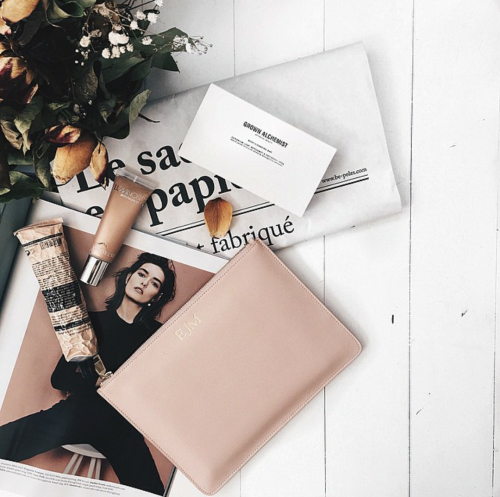 Here are five tips from me to you on styling your room, in order to capture that picture perfect scene. One way to make your room always look bright and clean is by using light tones. For instance, my go to color is white: white bed comforter, white nightstands and dressers, white fur rug. You get the idea. By making the base color white, you then have the option to use more colors to accent the rest of your room. Right now I’m currently loving the combination of black, gold, and blush accents. 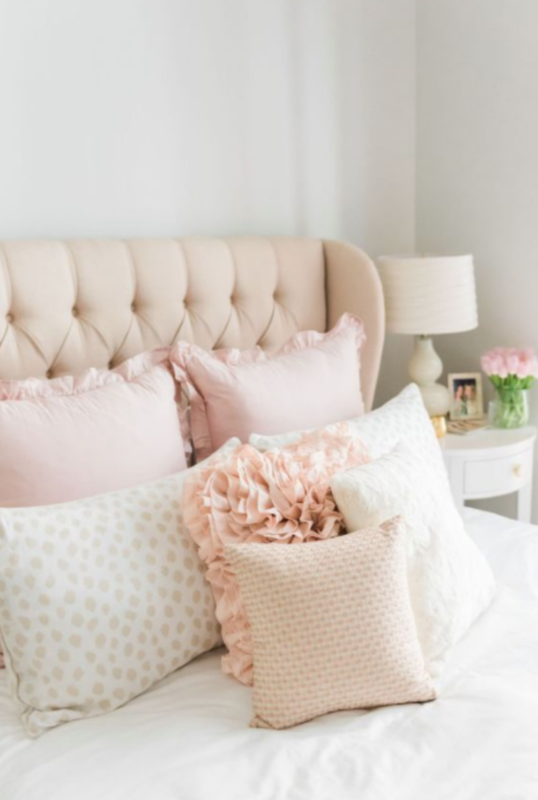 Throw some blush pillows on your bed, gold and black frames, paintings, or table lamps, and boom, you have a Pinterest perfect color scheme. 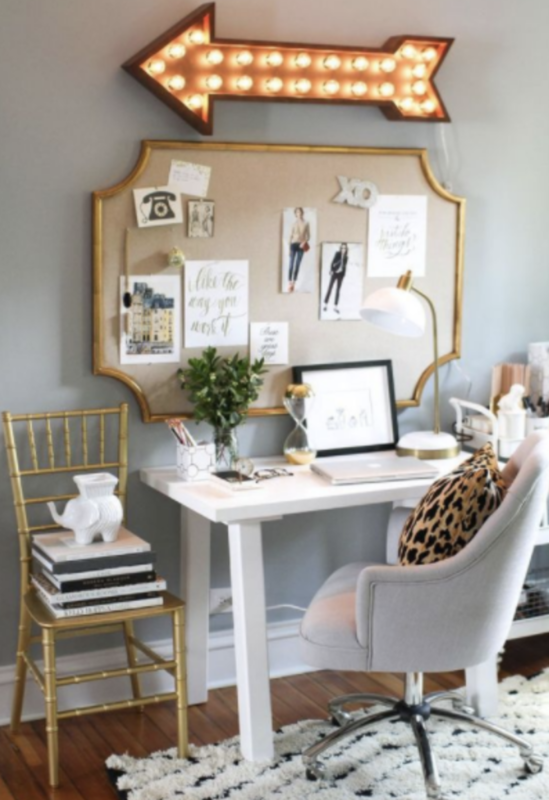 This also adds a rich and feminine feel to the room, but keeps that clean and bright feeling. 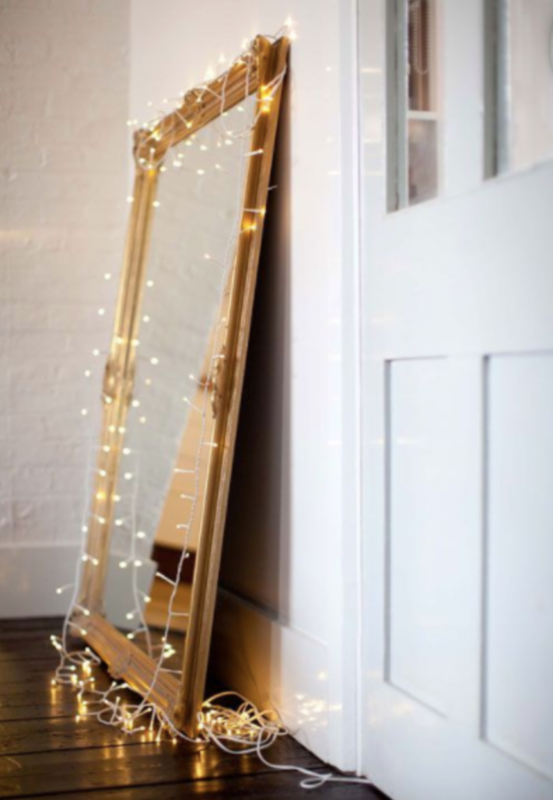 Recently I’ve seen christmas lights being used as room decor and let me tell you…I LOVE it! These simple strings of lights adds the perfect amount of magic to any room. Try dangling them across your full body mirror for an extra touch of class, that way every time you check how fabulous you look, you’ll be shining like a star. One of my favorite things to do is go through my old Vogue magazines and find clippings of amazing designs, or quotes, that inspire me and then arrange them on a gorgeous mood board. 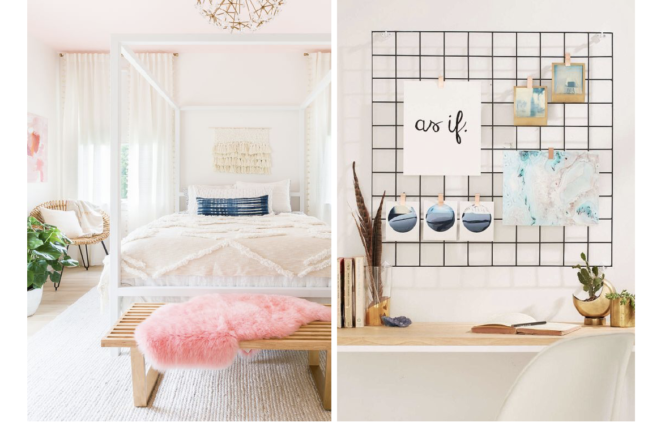 This cute little DIY adds personality to your room and you can put it anywhere: above your bed, desk, side wall, etc. 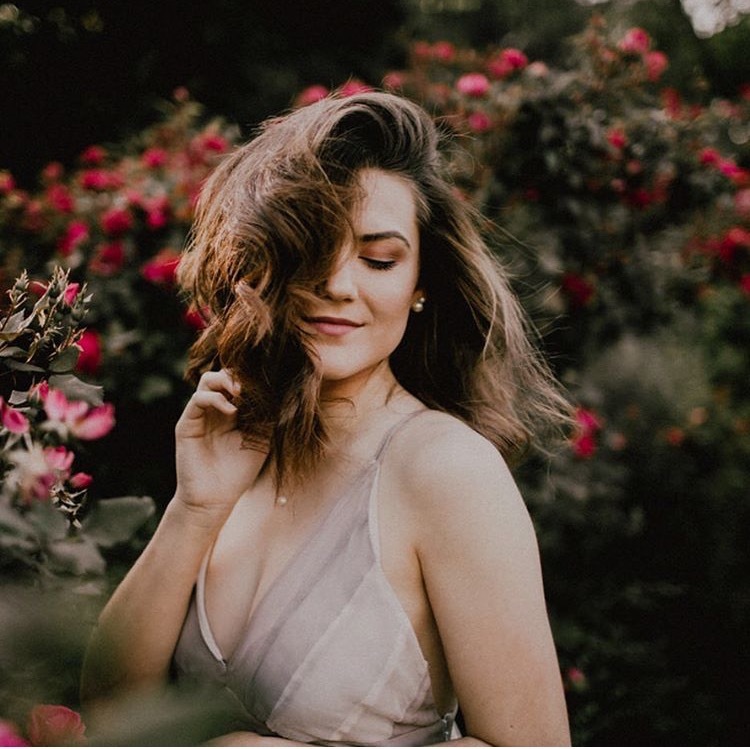 Ever have a cute dress or blazer that is runway ready, but don’t always have an event to wear it to? Well now those cute pieces can be seen even when they’re stuck at home. Hit up your local Target to buy a simple clothing rack and hang up your favorite pieces that match your color scheme. 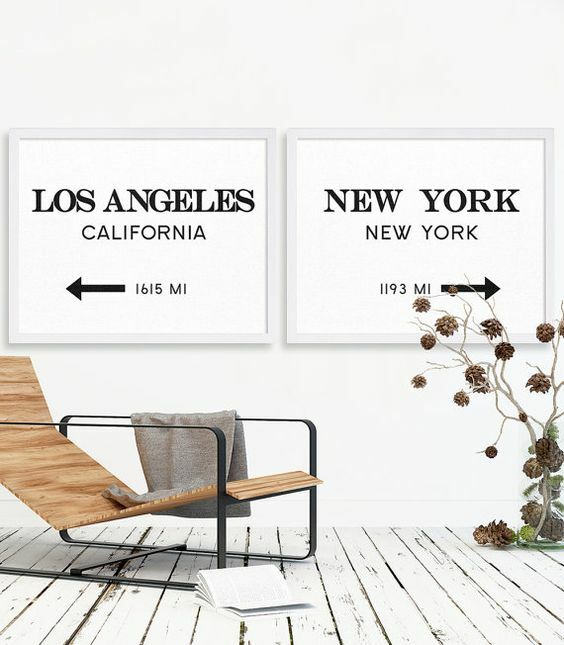 Not many people think of this as a way to decorate, but doing it gives your room a “New York Fashion Week,” feel. 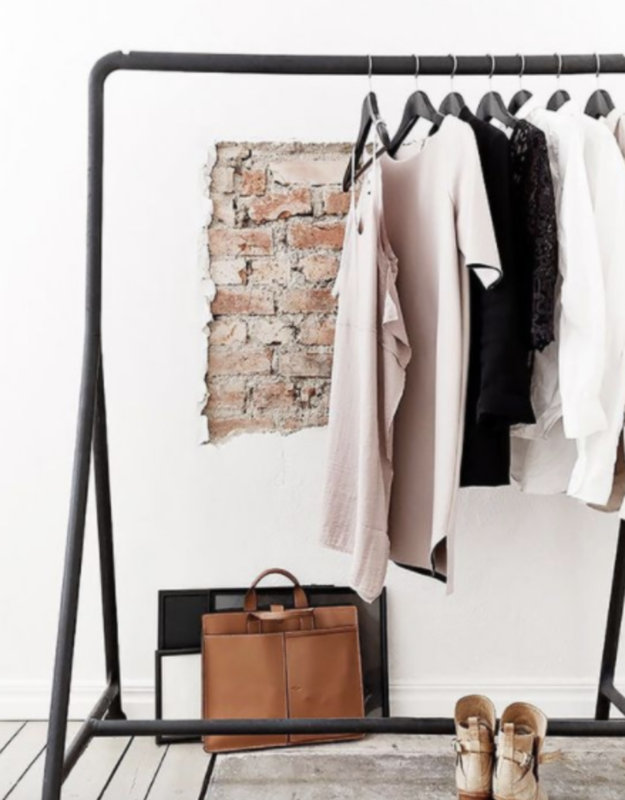 It also helps make your room appear organized and trendy at the same time. Every girl loves waking up and seeing flowers on her nightstand. No need to worry, you don’t need a boo thang to make that happen. Yes, you can go get real flowers. Or, you can go to Hobby Lobby, Michael’s, or Joann’s and pick out a couple non-perishable flowers and arrange them in a cute vase. That way you don’t have to worry about the upkeep and they’ll be around 365 days a year. There you have it! 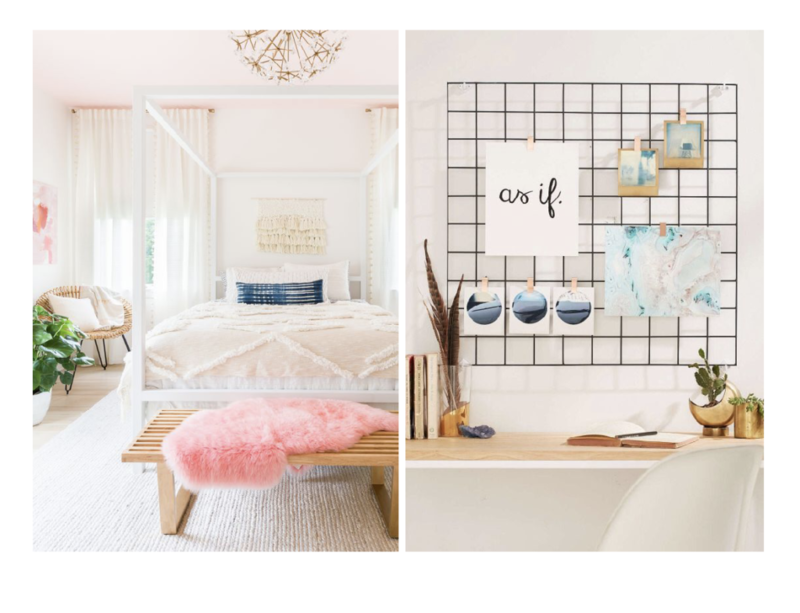 Five cheap, and easy ways to make your room look like it came off of Pinterest. Let us know what decorating tip was your favorite, or what your favorite room decor is in the comments below! Merry Everything from My Family to Yours!